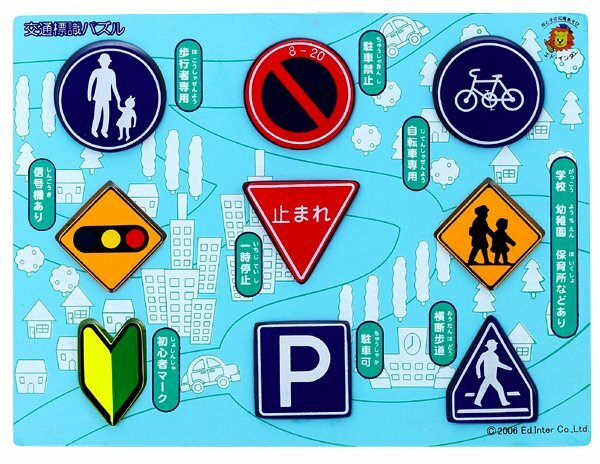 This puzzle is a fantastic one for teaching important signs to the kids. The minimum age for the puzzle set is 24 months. Great age to start working with kids basic recognition skills. Top marks for innovation with this type of toy.